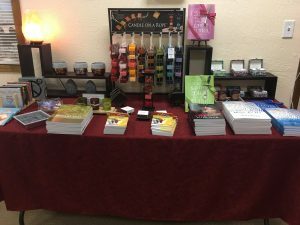 Our official CSLSN giftshop, Agape Energy, is a one-stop-shop for Science of Mind literature, and a variety of special gifts for that special person you love (including you), that support spiritual growth and life expansion. 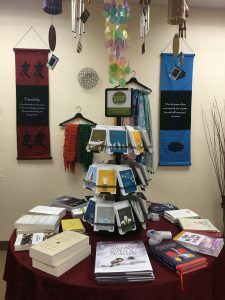 We carry a selection of spiritual guidebooks, children’s stories, fictional novels, historical accounts, and complex philosophy. 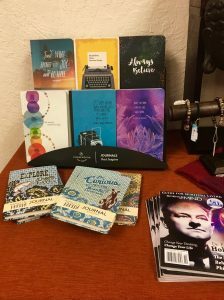 Books include Ernest Holmes’s works, as well as hundreds of titles reflecting on, inspired by, or complementing his theology, such as New Thought teachers like Rev. 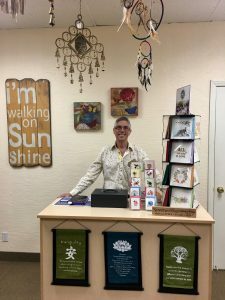 Michael Bernard Beckwith, Deepak Chopra, Dr. Wayne Dyer and Thích Nhất Hạnh. 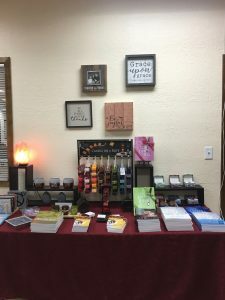 In addition to books, you will find a beautiful assortment of gifts, and greeting cards that will uplift anyone’s life and enhance their spiritual journey. 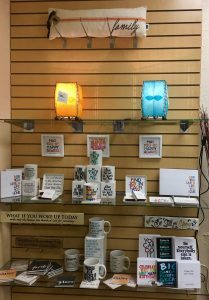 Browse our selection of candles, windchimes, jewelry, artwork, and more to find that unique gift. 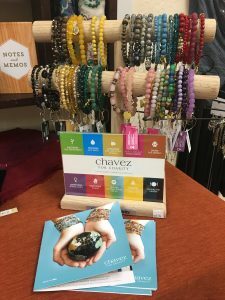 When you shop at Agape Energy Giftshop, a portion of all sales goes towards support for CSLSN. 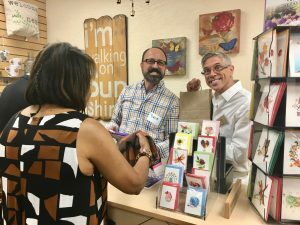 We invite you to visit us on Sundays just off the main sanctuary before or after service. You can also order books through our Amazon online store. If (after selecting books to purchase from our Amazon Affiliate Store) you want to add other books from the Amazon catalog, click on the “Shopping Cart” link, and then “Proceed to Checkout”. You will then be taken to Amazon’s site, where you will click “Continue” to add your selections to an Amazon shopping cart, and may add any other selection from the Amazon catalog, and then complete the checkout process. 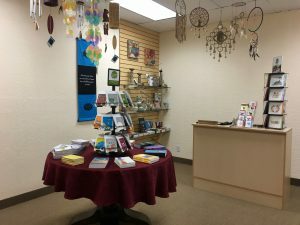 Visit Our Bookstore in our Center, or Visit us Online for Gifts and Books for Yourself or as a Gift.